Address: Barrack St, Perth, WA. Later: 713 – 721 Hay St, Perth, WA. .a 1923-1925 issue: Purple overprint: 1d. .b 1941-1943 issue: Black overprint: 1d. .a 1923-1925 issue: Purple overprint: 1d R4. .b 1941-1943 issue: Black overprint: 1d R4. Background: *The company was established in Victoria in 1854 but moved to WA in 1895. 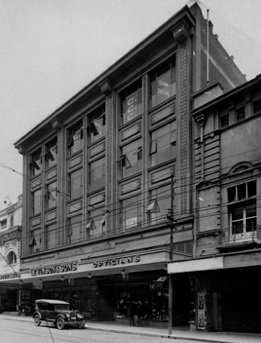 They had workshops and show rooms at Barrack St, but in early 1926 they moved to the Hay St address. 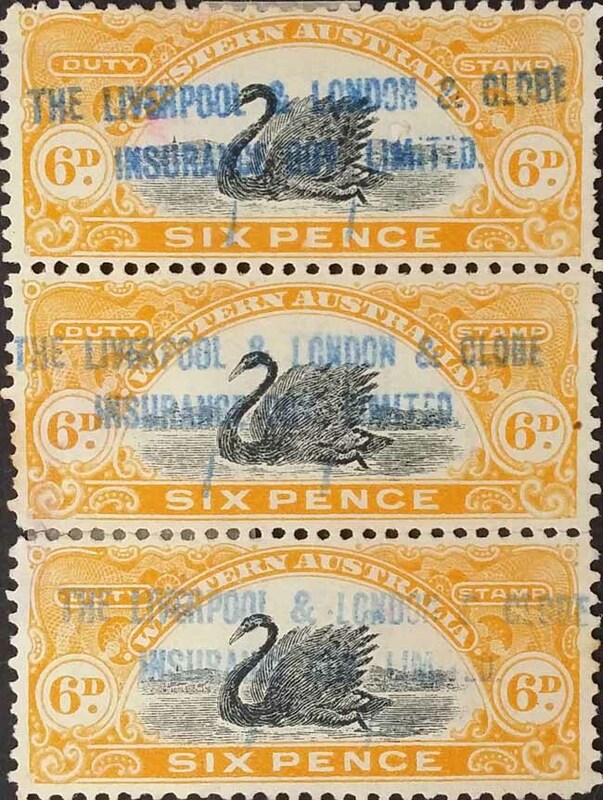 The company boasted Royal and Vice Regal patronage and a range of goods and services including: Manufacturing Jewellers, Watch and Clock makers, Opticians and Fancy Goods Importers, Art Bronze and China Galleries. They ceased trading in 1961. 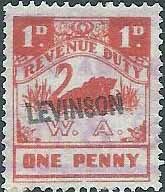 Revenue Use: 1912 series 6d. Background: See LLG.a in Perfin section.